Two attacks have hit major targets in the Iranian capital. Armed men have stormed Iran΄s parliament while a suicide bombing was reported at the tomb of Iran΄s iconic leader Ayatollah Khomeini, according to state media.Reports conflicted on the extent of injuries in the incident and the number of suspected perpetrators in what appeared to be coordinated attacks on Iran΄s parliament and the mausoleum of Iranian leader Ayatollah Ruhollah Khomeini. At least two people have been killed in the attacks and 30 more injured. Iran΄s intelligence ministry said described the attacks as terrorism, saying they foiled a third assault from taking place. "This morning two terrorist groups attacked the parliament and Imam Khomeini΄s shrine ... Members of a third group were arrested before being able to carry out an attack," the ministry said in a statement circulated by state media. The self-styled Islamic State militant group claimed responsibility for the attack, according to terrorism watchdog SITE Intel Group. However, Middle East observers have expressed skepticism over the claim, saying the group may be seeking to capitalize on the attack. 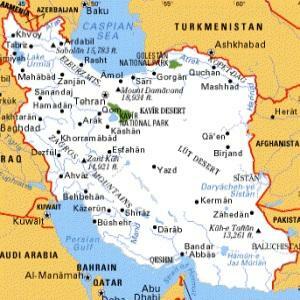 If confirmed, it would mark the militant group΄s first attack on Iran, a Shiite-majority country. Security forces have launched an operation to flush out the assailants, who have blocked themselves in the parliament building. "A person entered Iranian parliament today and started shooting at the guards. He shot one of the guards in the leg and ran away," the Fars and Mehr news agencies reported in their Telegram messenger feeds. Iran�s international broadcaster Press TV reported that a suicide bomber detonated explosives within the building. Press TV also showed footage of people fleeing parliament and gathering outside the building. Press TV and other state-run news reported that a suicide bomber detonated explosives near Khomeini�s mausoleum, located in southern Tehran and several kilometers away from the parliament building. Khomeini is an iconic figure in modern Iranian history. He effectively launched the Islamic Revolution in 1979 that witnessed the founding of an Islamic republic marked by the overthrow of Mohammed Reza Pahlavi, the last Shah of Iran. Authorities have placed Tehran on lockdown, warning of using public transport and blocking journalists from reaching the site of Khomeini�s tomb. Iran�s Interior Minister Abdolrahman Fazli told local media he convened an emergency meeting of the country�s national security council.